Everyone must have known where I continue my study. Where I will spend my whole day in 3 years or 3,5 years. Institute Technology of Bandung or ITB. Studying here is quite hard for me. I'm not an easy-adapt girl and this campus force me to adapt fast if I want to graduate well. It's not only about the study that is hard, but about my P.E subject. I don't know that this subject is harder than what I thought before. I got C for the first mid-term run test. It was.....hurt. To run, of course you have to feel comfortable and ready to run, and to feel comfortable and ready to run, you have to wear any cozy and beautiful footwear or other run costume to boost your mood. 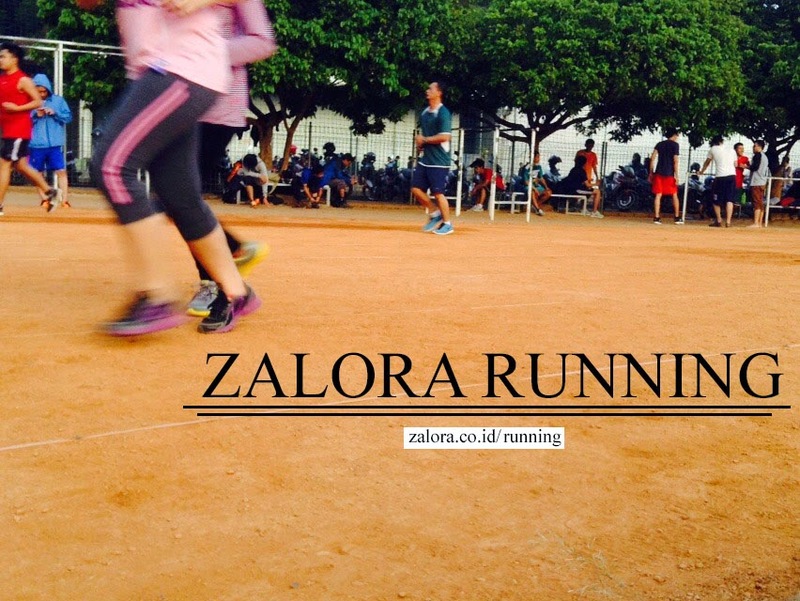 And the good news issssss.....there's Zalora Running! To be honest, being a colleger means lack of free time. I even can't go on weekend for a film. Duh, goodbye my beautiful youth age. There's no time for two hours film means no time for 5 hours shopping time looking for any suitable run costume and footwear. Well, you know girls. They always spend too much time in shopping time. I don't like shopping too much (except shopping book) but I bet I will spend the same hours for the same thing. Why? Because I don't want to choose the wrong footwear to be wore since it must be so expensive (being a colleger means less money you have, dude). But (again), back to the main problem, I have no time to shop or walking around to find the suitable one (whether in price or style or whatever). Praise the Lord Zalora has Zalora Running. You can find any footwear and run costume easily there. You can shop in lunch time while you're eating, or in library while you're in a line for borrow any book, or when you're too tired to study and it feels you have no soul anymore. It's quite easier and....less time and energy you need. Just click the link here and you will find hundred even thousand of collection from one brand to another brand, from the cheapest to the most expensive, from the most favorite stuff to the limited edition stuff. Whatever you want for running, Zalora provide it for you so you don't need to move from another mall to the another mall. And Zalora is just too kind giving me 2 vouchers to be shopped. Because I'm in my good mood, I want to share this vouchers to my coolest family, the girls of my faculty where I continue my study now. For Aces'2014. Sorry for those who can't join this giveaway. Don't be sad, if you register on Zalora.co.id you will get 75k cut off. You can still enjoy the easiness shopping on Zalora. So Aces, how to join this giveaway? It's easy. 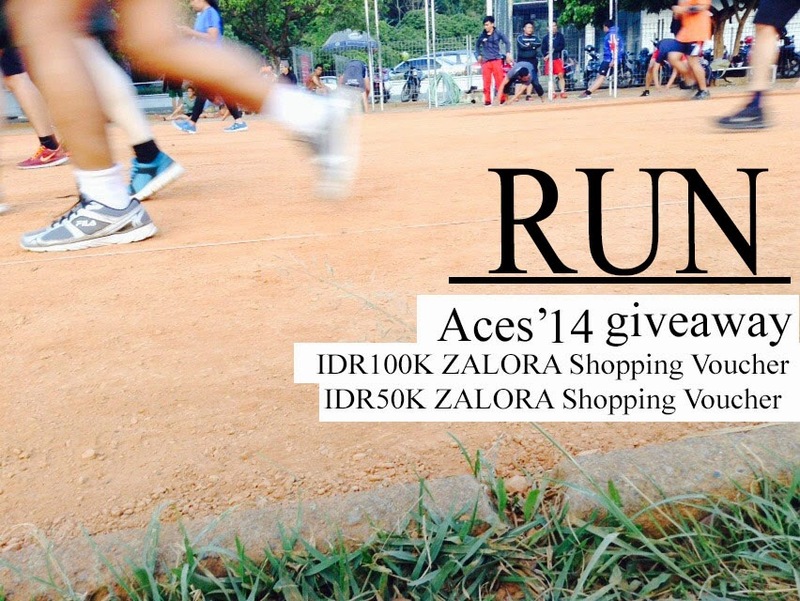 Just click here and join my giveaway, open Zalora Running, choose your favorite stuff and paste it to the widget. Good luck, Aces!